Announced on げーおん 2nd live stream for jubeat's 10th anniversary. Location tests are being held from 7/20 to 7/22. 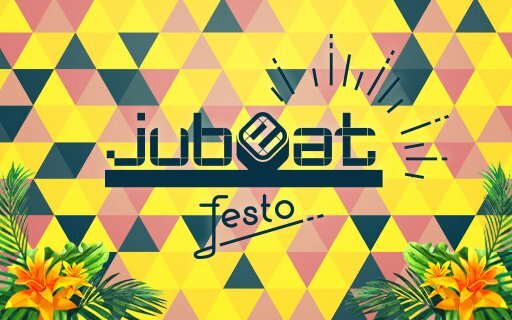 Yay it's a tropical fresh theme for jubeat's 10th! I can't wait to hear the plethora of new songs for it. jubeat has always had an amazing array of music I'm sure this won't disappoint. Glad jubeat remains strong and Konami is continuing to make yearly installments unlike some of their barely alive BEMANI series. HARD MODE scores separate from normal timing scores is good. I think some will exclusively or mostly play on HARD MODE because of this. Songs with 9 or above on the difficulty scale will now have decimal points on to their rating. I like this and IMO this is what clan should have added when so many 9s and 10s were scaled back. A new installment already? I feel like clan just came out! Huh? Didn't think this would get a new installment in just a little more than a year. What - already a new version? Kinda expected cause the monthly bonus is over for Jubeat and basically all the unlocks are over. Also, I can't wait to find out what songs are in the location test. I hope there's some tropical/samba-style stuff. I think this is a new song that just has the same name. phantasmagoria in Nostalgia has a way different jacket (with no artist credit). 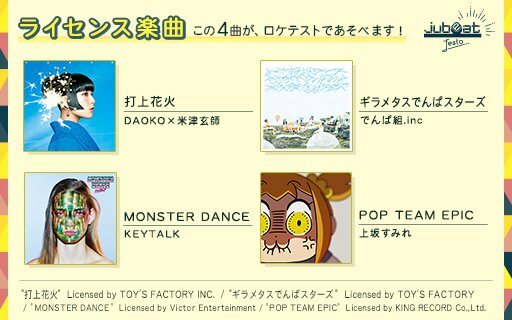 For now, it's the 7 songs in the OP. If there's more than that, I guess we'll find out once the location test starts. "I wish I could do something 'w'." What if it is the song but remixed for Jubeat? Check out the tweets related to jubeat festo's Location Test here! Here's an awesome chart regarding the re balancing of songs rated 9 and 10. Credits posted on the picture charts. Prayer by ぺのれり (Penoreri) is the other song besides Stand Alone Beat Masta by GUHROOVY and is a FLOOR INFECTION song. And oh, HAPPY 10TH ANNIVERSARY!!! Sumidagawa Karenka as a 9.8 is perfect. It's one of the hardest 9's I ever played. 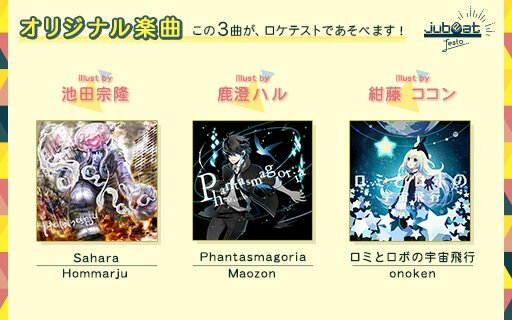 jubeat festo is now finally released!! festo is already shaping quite well already. Fantastic new songs. Will explore the licensed songs later. Love this one! yukacco's jubeat debut. This is Yoshihiko Koezuka who is one of my LEAST favorite long time contributors but wow this is good. His best song in jubeat yet. Another classy red glasses tune! So freaking good! Nekomata and Gekidan Record do make a whimsy combo. It's barely a week and my scores are way off from my PB. Something is wrong with the judge. Holy crap. TAG is really showing off his production skills as of late. BEMANI Sound Team -TAG- produced by BEMANI Sound Team -Sota Fujimori- is the song's full artist but that was getting too long lol. Our faith version 2. Good stuff!